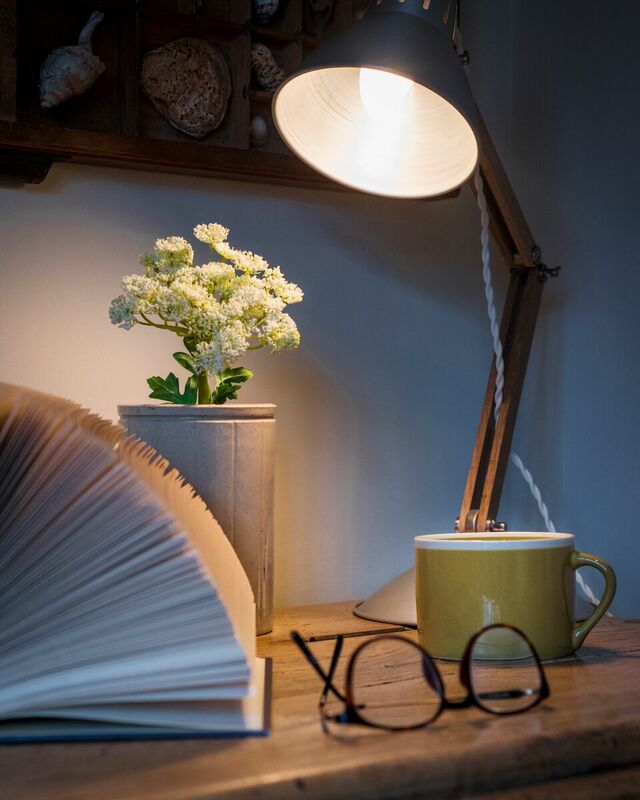 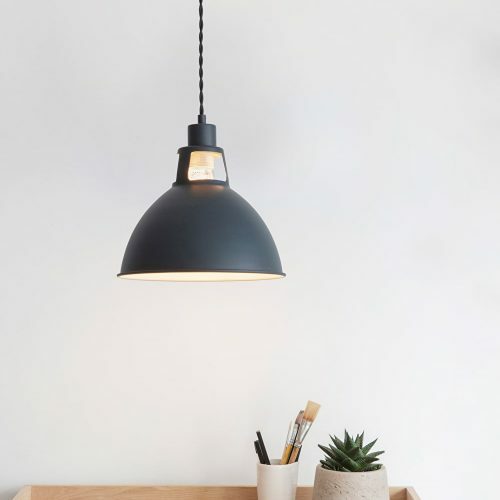 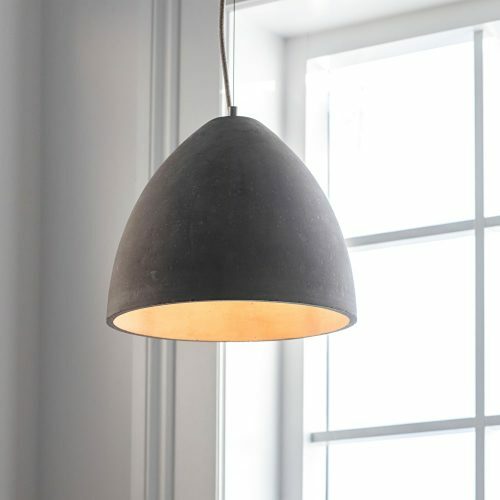 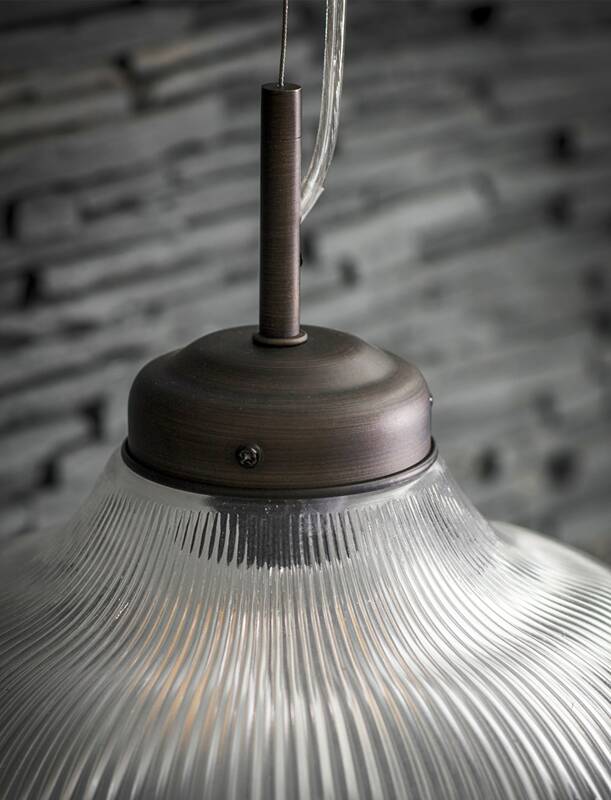 With its striking French-style shade, the Paris Pendant Light will make a classic addition to any home. 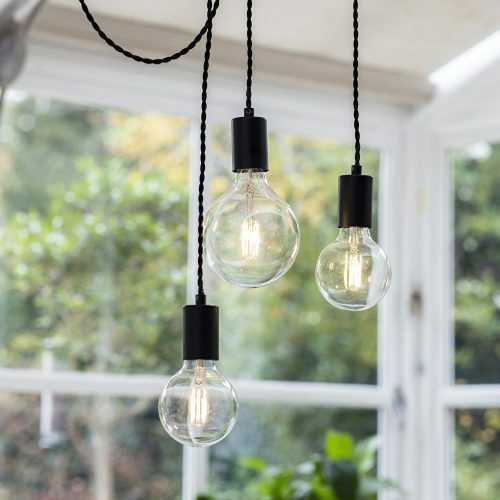 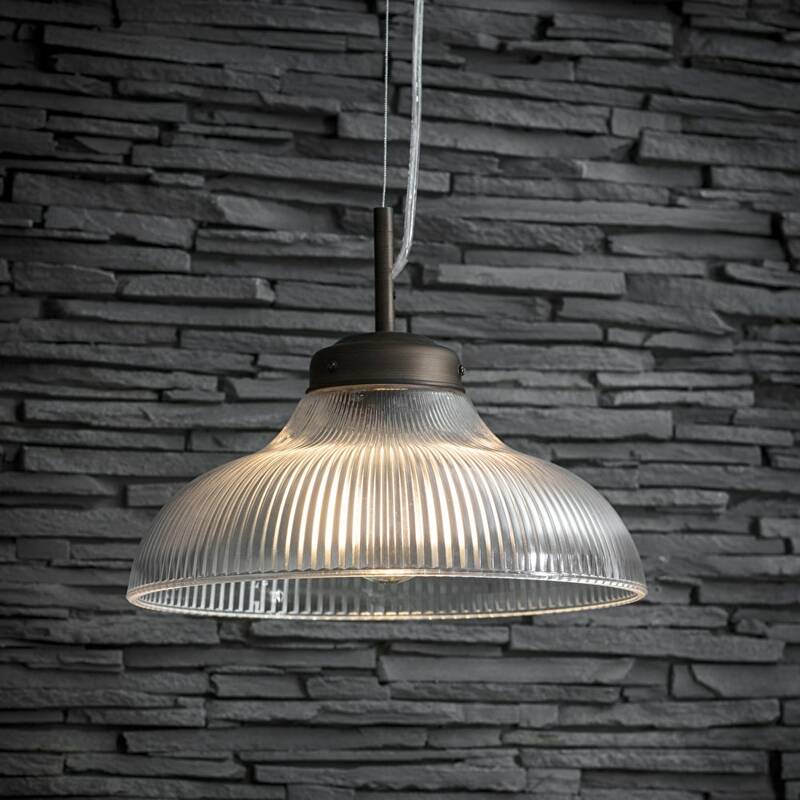 This retro feel fitting was inspired by ceiling lighting found in brasseries all over Paris. 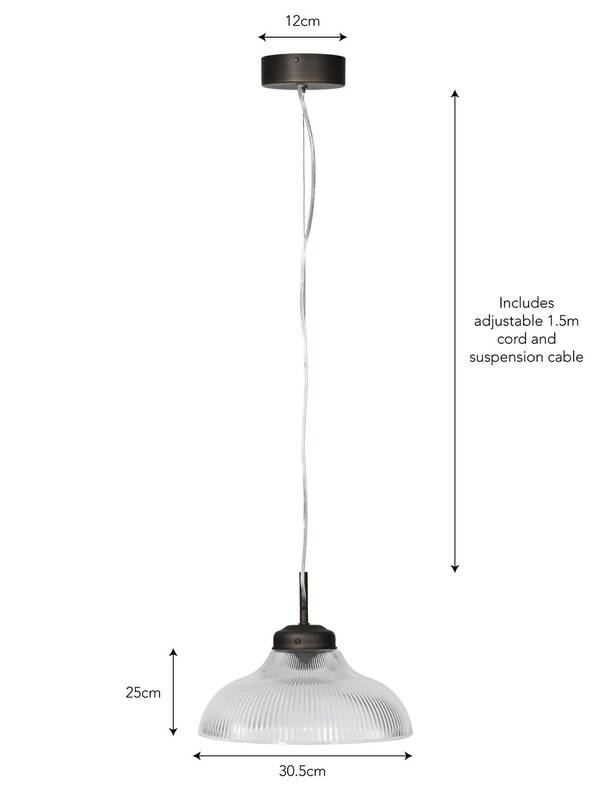 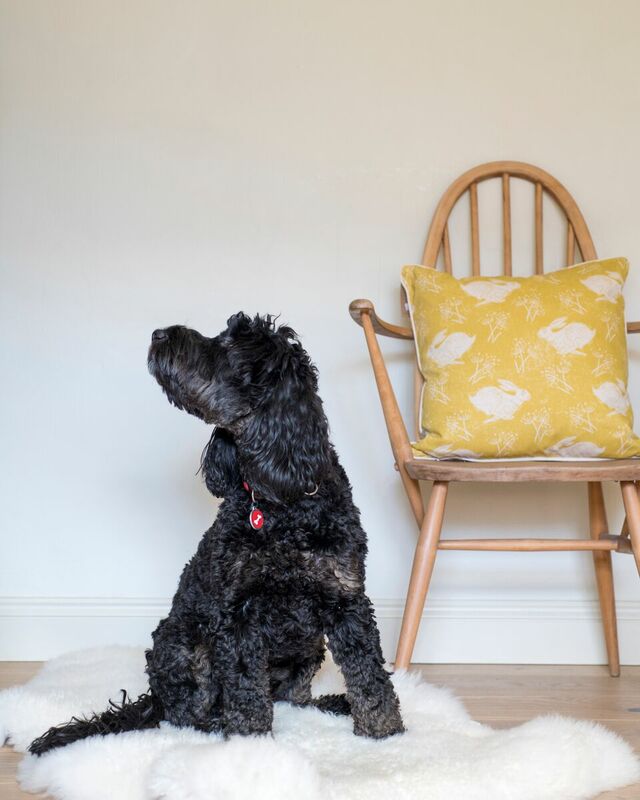 It would look perfect paired over a dining table, in a living room, hallway or bedroom. 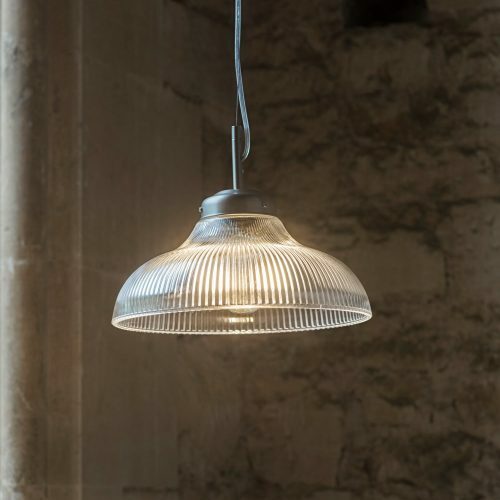 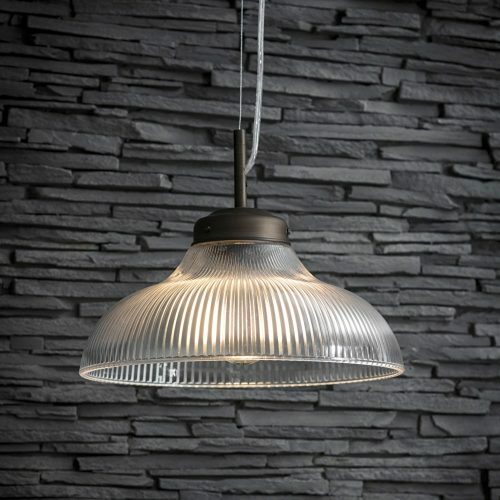 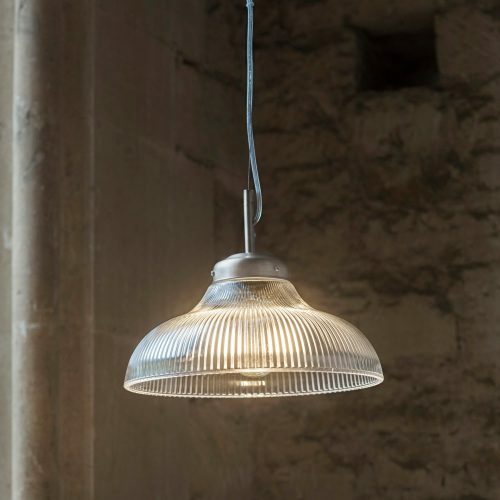 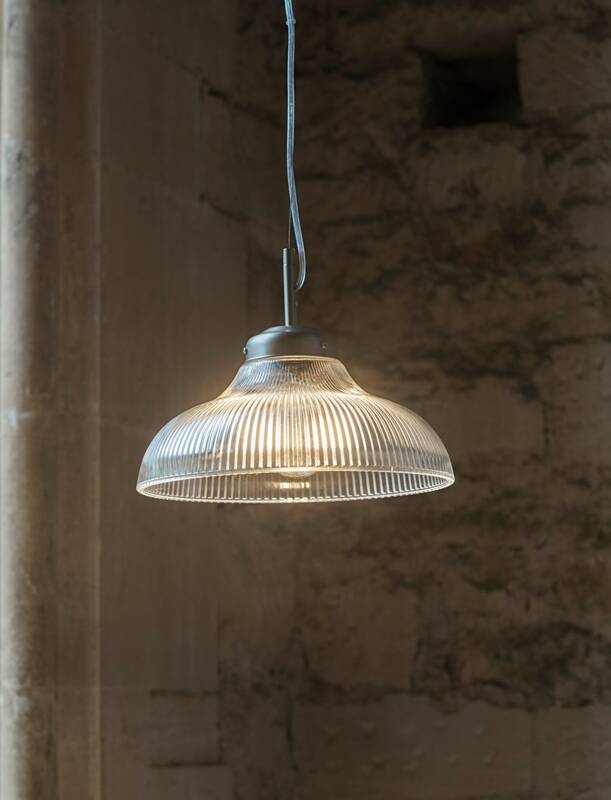 Designed with a fluted and ribbed Glass shade this gives a soft diffused light within its room of choice. 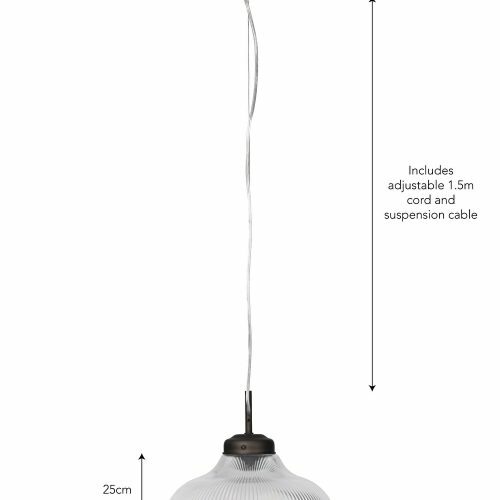 It comes with Antique Bronze fittings and an adjustable cable to allow you to fit at the desired height for its location. 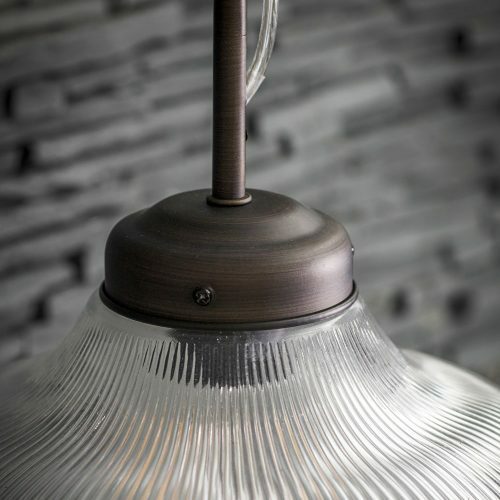 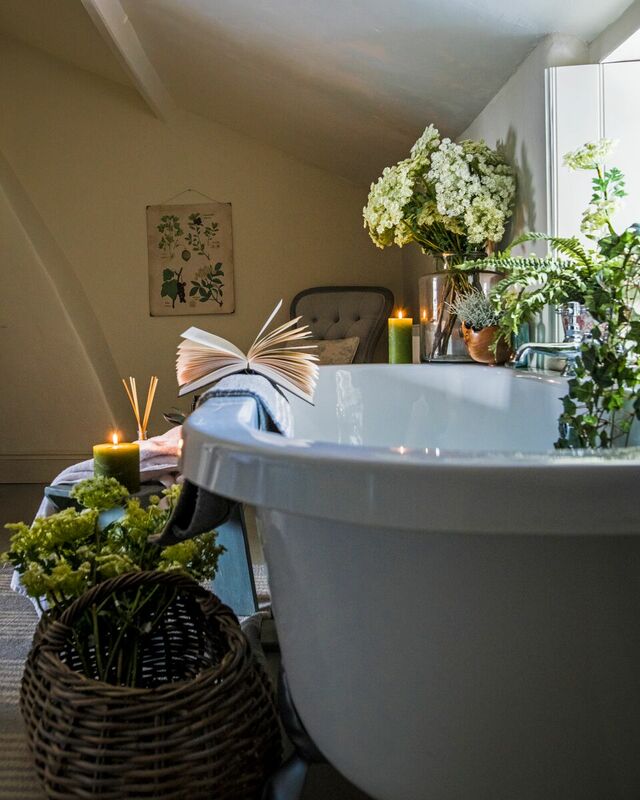 The simple yet exquisite design would look great in both modern and more traditional properties.